Batman versus Superman. The greatest comic book smackdown EVER! My money's on Batman every single time! "Tell me. Do you bleed?" 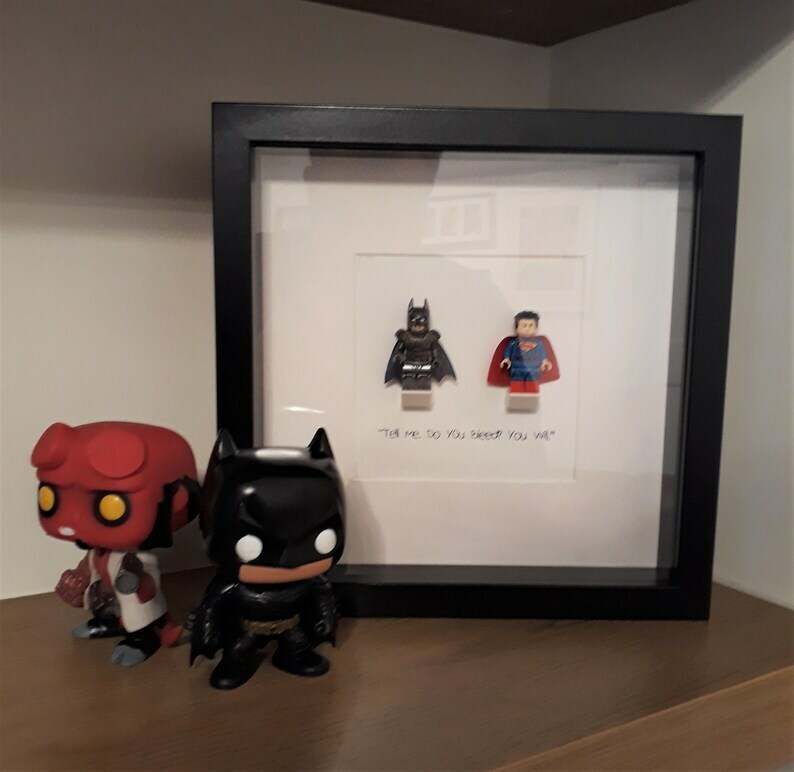 The perfect gift for that special Batman or Superman fan in your life, to adorn their Man Cave/She Shed/Batcave/Fortress of Solitude. Received my item damage. Contacted seller however has not responded to my numerous messages.